It’s almost time for the Christmas tree, gifts and all of that beautiful family atmosphere of the Holiday season, but if you are curious what exactly you could get from Santa, chances are that if it is a gadget, that would be a tablet. And not just any tablet. A recent survey by Techbargains, found that first more than a half of all customers plan to purchase a tablet, and second, the most popular choice was the Nexus 7 by Google. The affordable $199 16GB tablet got nearly a third of the votes, slightly higher than the 30% who opted for a 9.7-inch iPad. Third ranked the newly launched iPad mini with 24% of the votes. "With more tablets on the market to fit every size budget, our survey reveals consumers are even more interested this year versus last year in giving and receiving a tablet — the must-have tech gadget this holiday season," president and editor-in-chief of TechBargains.com Yung Trang said. LOL I said Nexus 7 would beat iPad mini in sales and they told me I smoked crack. Open your eyes Apple fanboys. That's a wish list dude. Wait till the season ends, who knows unmatched b rite. That's true depending on ur needs. And bank acct. DJ you are beginning to look like the Captain of the mega ship Titanic. You are smoking crack. Most of them got themselves already iPad or iPad mini, all they want for Christmas gift is cash. Lol! Its released. 20k INR for 16GB version. i think nexus 7 isnt that good! so small screen and no rear facing camera! nexus 10 all the way!!! and maybe the iPad 4...but not the ipad mini!!! lol! for $330 but not HD screen?! HILARIOUS! 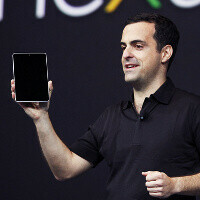 and maybe the microsoft surface and the PlayBook!